Food and nutrition major Kate Jablonski, ’16, embodies all that it means to be a Meredith College student: She is strong, smart, and dedicated. She also strives to better her community and to always lend a helping hand. Kate began her journey at Elon University then transferred to Meredith as a sophomore. She then experienced the “Intro to Food and Nutrition” course taught by Bill Landis and the rest, she said, is history. 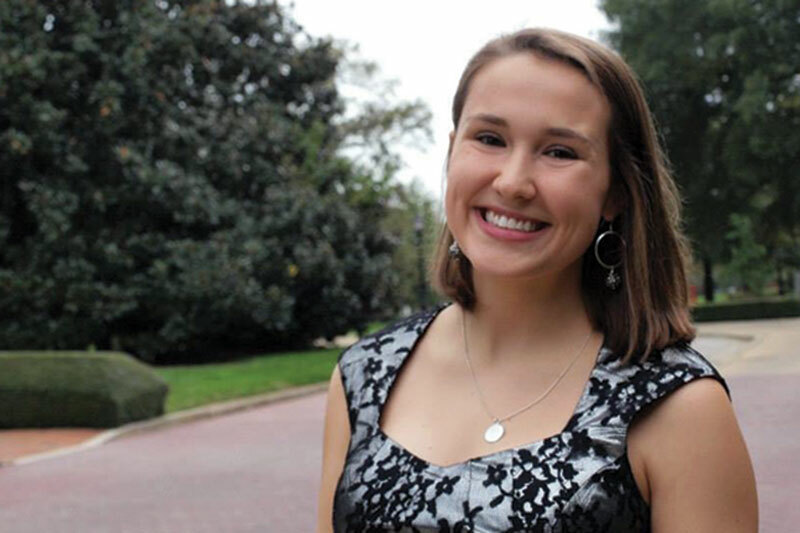 Kate has completed internships with Carolina House and the Poe Center for Health Education. She conducted undergraduate research through which she tested the viability of a campus-wide composting system in collaboration with Meredith's Three Sisters Garden. Kate has also worked in health centers that focus on eating disorders, assisting those in recovery. Kate will be attending Appalachian State University in fall 2016 to further her studies and work with those recovering from eating disorders. Kate belongs to the honor societies of Kappa Omicron Nu and Kappa Nu Sigma, as well as the Silver Shield leadership society and the Nutrition and Wellness Association. She served on the leadership team of Campus Kitchens. She also enjoyed participating in nearly every Meredith tradition. Her favorite was Senior Family Night, which gave her a chance to recognize her family for their support. Learn more about studying food and nutrition at Meredith. Find out how Meredith helps students find internships.